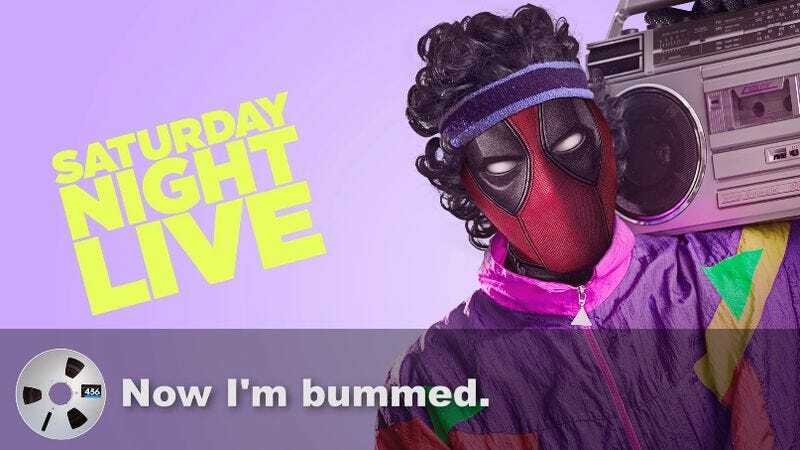 Showing that not even the fourth walls of news stories about him are safe from the meta rantings of Ryan Reynolds’ Deadpool, the in-character actor has already whipped up a sort of response to the recent petition to have him host Saturday Night Live as his box office-dominating merc with the mouth. In doing so, though, he also managed to reference Kanye West, creating a perfect storm of all the things that might show up in a February 2016 news story in one compact little clip. Specifically, Reynolds released a parody of the leaked audio that Page Six has been passing around for the last week or so, which purports to show West having a loud breakdown shortly before his SNL set last Saturday. Riffing on The Life Of Pablo rapper’s assertion that he’s “50 percent more influential than any other human being,” Reynolds’ Deadpool gets even more granular in his assertions of his own importance, charting himself against the KIA Sorento, Urban Dictionary, and Dr. Ruth. Anyway, considering that the video probably took all of 20 minutes to put together, and will likely only help in cementing Reynolds’ reputation as a fun guy, and his movie as a pop culture-skewering theatrical juggernaut, it seems like Deadpool has stumbled onto that most mythical of secrets: How to act like Kanye West without coming off like a temperamental, unstable child.